Cloudera Navigator collects metadata for Amazon S3 entities in much the same way as for HDFS entities, with some exceptions shown in the table below. 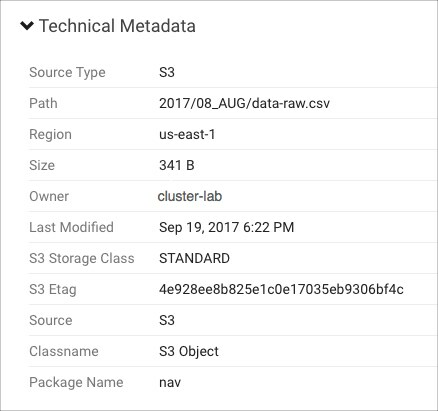 User-defined metadata consists of custom key-value pairs (in which each key is prefixed with x-amz-meta-) that can be used to describe objects on Amazon S3. Unnamed directories. See Extraction from Unnamed Directories for details. Object lifecycle rules. See Object Lifecycle Rules Constraints for more information. Hierarchy in object storage. See Object Storage Hierarchy for more information and behavior. 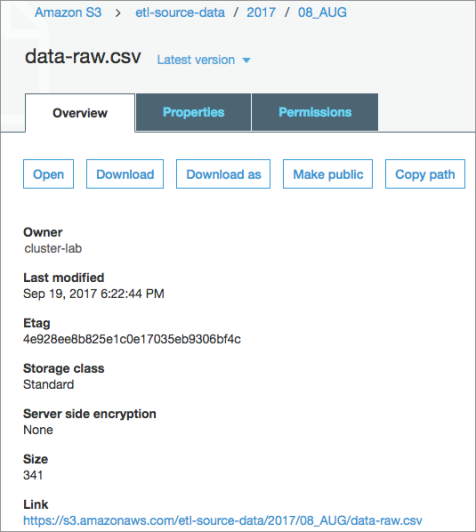 After configuring Cloudera Navigator with a specific set of AWS Credentials for Amazon S3, future changes to the credentials, such as when credentials are rotated regularly, must be for the same AWS account (IAM user). If a new key is provided to Navigator, the key must belong to the same AWS account as the original key. Unnamed folders on Amazon S3 are not extracted by Navigator, but the content of the folders is extracted. For example, a top-level folder the top level folder in the bucket has no name (for example, /bucket//folder/file), it is extracted as /bucket/folder/file. 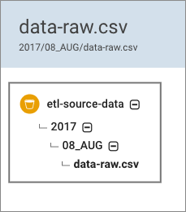 Note that when Cloudera Navigator extraction encounters inconsistencies in AWS (for example, due to eventual consistency), it can delay Navigator extraction of metadata and lineage from Amazon S3. When Navigator detects an inconsistency, extraction may stop until the inconsistency is resolved in AWS. Navigator will retry at the next scheduled extraction.